The avocadoes and tomatoes should be approximately the same size. 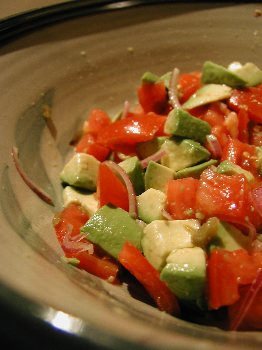 I often prepare the entire dish ahead of time without the avocados and then add them at the last minute. Be sure to seed the tomatoes or there will be too much juice. Adjust lime juice so there's not too much liquid. Do I have to peel the avocado or just cut it like tomato?